Eduardo Saverin–co-founder of Facebook and soon-to-be billionaire–has returned. 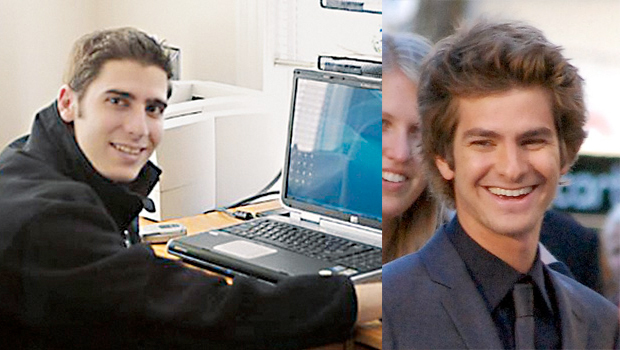 When we last heard from Saverin, he was jousting with Justin Timberlake (aka Sean Parker), suing Mark Zuckerberg, and generally getting screwed out of his Facebook fortune–that is, as the lead role in David Fincher’s Golden Globe-winner The Social Network, played brilliantly by Andrew Garfield. Now, fictional accounts aside, Saverin is back in the game as the lead investor in hot startup Qwiki, which aims to improve the way we experience information and which just raised $8 million in financing. Applying that wisdom to Qwiki, perhaps the startup will fail. Perhaps it will thrive. Perhaps it will involve mistakes and failures and struggle. Perhaps there are no boundaries to what Saverin can build Qwiki in to. How could any investor turn down that elevator pitch?